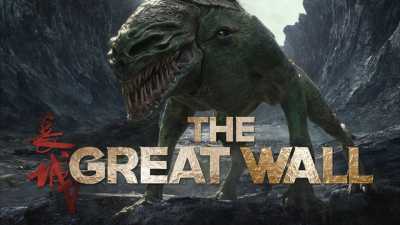 The Great Wall is a 2016 monster film directed by Zhang Yimou, with a screenplay by Carlo Bernard, Doug Miro and Tony Gilroy, from a story by Max Brooks, Edward Zwick and Marshall Herskovitz. The US-China co-production stars Matt Damon, Jing Tian, Pedro Pascal, Willem Dafoe, and Andy Lau. It is Zhang’s first English-language film. Principal photography for the film began on March 30, 2015, in Qingdao, China, and it premiered in Beijing on December 6, 2016. It was released by China Film Group in China on December 16, 2016, and in the United States on February 17, 2017 by Universal Pictures. The film received mixed reviews from critics, who said it “sacrifices great story for great action,” and grossed $334 million worldwide against its $150 million production budget.